Output:- 5 to 12 NHP but 6-8 NHP most popular. Price New:- In 1888 Single £350-460. Mainly used for agricultural purposes. 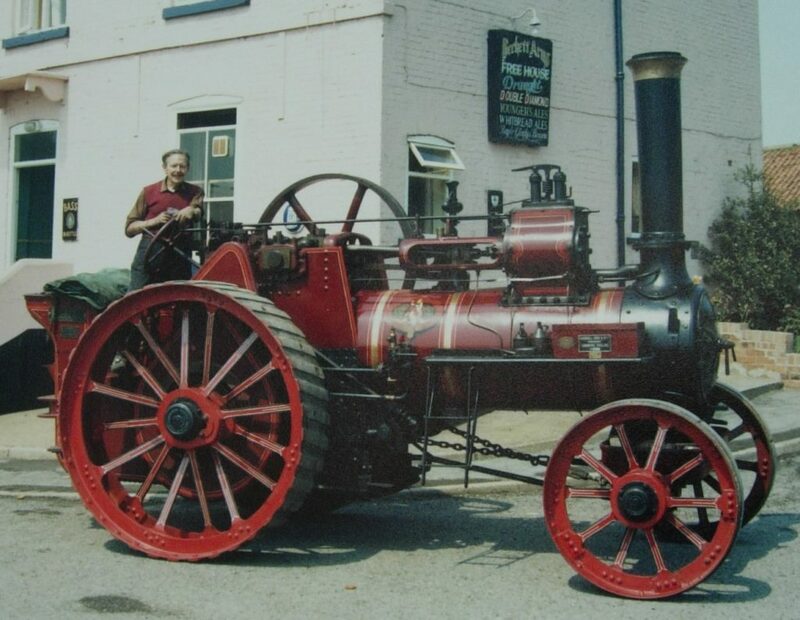 The photo above shows the last member of the Marshall family Major Henry Marshall with his 1906 7NHP General Purpose Traction engine Works No. 45415.